About a year after the birth of my third son, I started sprint training again. Having played high level Netball for many years this was the first time I had ran since my High School days. My biggest achievement so far has been winning my first Australian Title in the W35-39 100m and the 4 x 100m 120+. 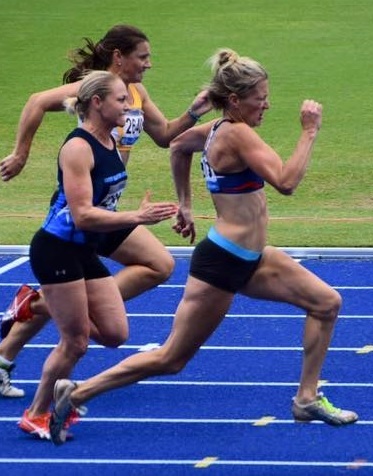 I was thrilled to also win triple gold at the Pan Pac Masters Games in the 60m, 100m and 200m. With my own business and a busy family life, sprinting has given me the opportunity for some ‘me’ time. It’s exciting when you run PB’s.